By Rosie Maguire, Senior Consultant, NEF Consulting. 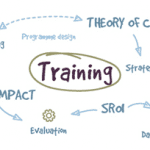 At the end of 2014, NEF Consulting developed and delivered training around measuring social impact for LVSC, the collaborative leader of London’s voluntary and community sector. This was part of the London for All programme in partnership with London councils, supporting the capital’s voluntary sector. The aim was to develop the skills and confidence of community and voluntary sector organisations in proving and improving the impact they make. We’ve all experienced returning to our desks invigorated by a learning experience and eager to put into practice our new-found knowledge only to lose it all as we try to catch up with our work. So we decided to run this course differently: we ran a two-day session where we collectively explored what social impact is and how we measure it, and then the participants bravely set themselves targets to achieve within their organisations over the summer. Three months on, we met again and discussed their progress – what they had achieved, what had not gone so well, and how they could share the things they had measured and learned. The results were inspiring and motivating both for me, as someone who supports organisations to develop measurement approaches, and for each other as they celebrated their successes and reflected on the challenges. It’s helpful to separate the ideas of prove and improve. What is the purpose of trying to understand your social impact? Are you looking to prove your worth to funders, or interrogate the way you deliver your activities so that you can improve the way you work? During the course, we reflected on the reasons why we undertake evaluation activities. In many cases, as small organisations, we are often focused upon evidencing the successes of our work to funders, in ways they often prescribe. Sometimes this misses the very essence of our work and the ways in which we create tangible and intangible changes in people’s lives. Redefining the purpose of measuring your impact can help redefine the way you approach it. Choose one project and do it well. At the end of the summer, participants reflected on the long lists they had set themselves; the projects on which they were going to focus, the progress they were going to make. Almost none had managed to work through that list. But that’s OK, and that’s why we planned the final day. In reality it’s really challenging to move from existing measurement and evaluation approaches to mapping and measuring the wider social value you create for multiple stakeholders in a comprehensive way. The systematic process of understanding the potential change and seeking to measure it effectively takes time, skills and patience. Start small, and choose a project or activity area that you can really get your teeth into, rather than trying to do a bit of everything (in not very much depth!). Not all impact we create is positive, and not everything we do creates impact. Going through the process of starting to understand where you create impact, and what that impact looks like, can challenge your existing understanding of the work you do. It’s important to be prepared for uncovering change you didn’t expect to create, or areas where you seem to have lost impact. This is all part of learning how your work has or can create impact, and more importantly, where it can fit most effectively within the messy organisational and personal structures in which individuals and communities live. Look for what you could be, not perfection. One of the things we focus on in our training is the understanding of what measurement and valuation is, and how it can help. Participants on the course realised that it’s OK to make assumptions, and it’s OK to not have all the data; it’s about starting somewhere, being clear about that starting point, and about your data sources, either current or potential. It’s also about picking the right method for your organisation – getting the right balance of robust measurement approaches and activities that are feasible within your work. Social impact measurement is about developing a framework for collection and analyses of data in an organised and standardised way so you are better able to tell your story. Involve a decision maker… or it can become frustrating. Most participants talked about the importance of getting senior management on board. Participants were concerned that they would end up working alone, or becoming the go-to person when someone needs the icing on the cake for external communication, rather than starting a process in which everyone’s involved. If you really want to get to grips with your social impact, take a whole organisational approach: from design, to delivery, to evaluation of activities. Getting more staff on board can also reveal skills and other assets within the organisation; you might find you have people with a burning interest in social impact, who can help develop and deliver impact measurement. How are we going to tell our story? Once you start to understand social impact, ask if you are able to tell your own story. The process of mapping potential impact is as important as the final result. Plan who you want to share your learning with along the way, and how you can do this effectively. Some of our training participants developed their own mini-training courses for staff, others used established staff days to share learning and encourage others to take part. Others found out the hard way the importance of explaining why you are trying to measure impact and how it might help them, before you start sharing findings: when staff felt that it could offer them something, they were more willing to take part. Alongside internal communication, think about how you communicate with your funders, partners and the communities in which you work. You might want to change some of the language you use to make sure you create the right message. Some participants found that, just by changing their language and speaking with conviction about delivering outcomes, funders responded more positively to them. Understanding your social impact is a process which will take time to develop. It’s about adopting a new approach to how you view your work, and then understanding the tools that can help your organisation. It’s important to share the ongoing learning, and use each stage of the process to build your ability to prove and improve your social impact, not just waiting for the final results. This will inevitably take time and resources, but it should help your organisation to continue to deliver maximum impact. So… how can you get started in measuring social impact? help you understand and measure your impact. In addition, LVSC is committed to developing the skills and resources of the sector. 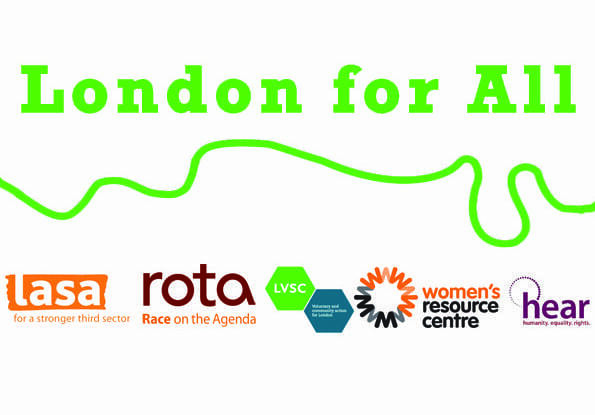 LVSC’s ‘London for All’ capacity building project funded by London Councils provides training in a range of areas such as building relationships with business, raising the voice of the VCS, equality and human rights issues and legislation and HR training for VCS employers. The project also provides other opportunities such as research, networking, signposting and support on issues such as accessible services and collaboration. Find more information on the London for All website.